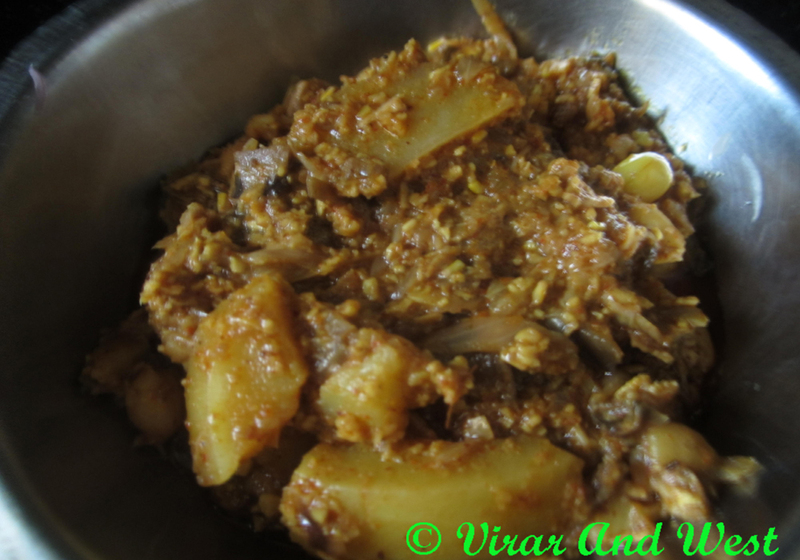 Recipe again friends, this is a very popular vegetable among locals of Virar-Vasai belt. 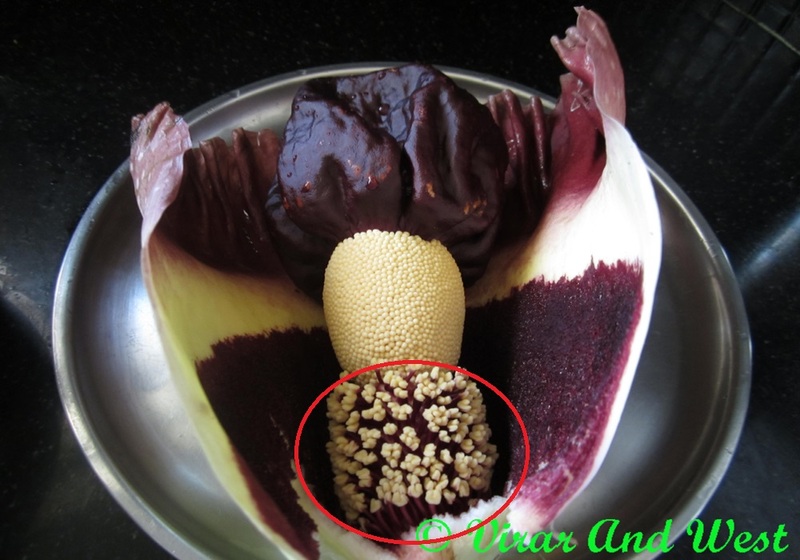 Suran Flower bud is comparatively less known to many because of its lesser availability. End of April-Mid May is the only season for it. If you haven’t heard of it before, you will have to consciously look for this veggie in the market. 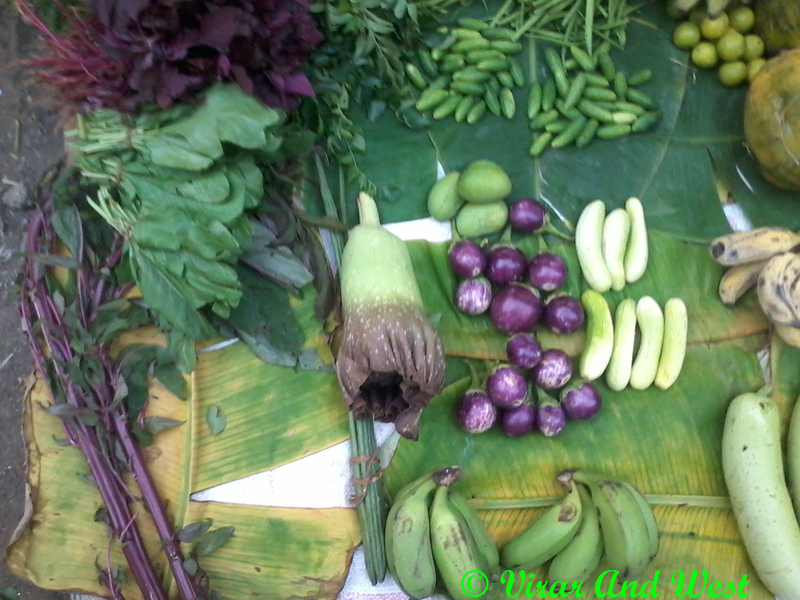 Mostly local vegetable sellers from nearby villages will have this and can guide you on it. 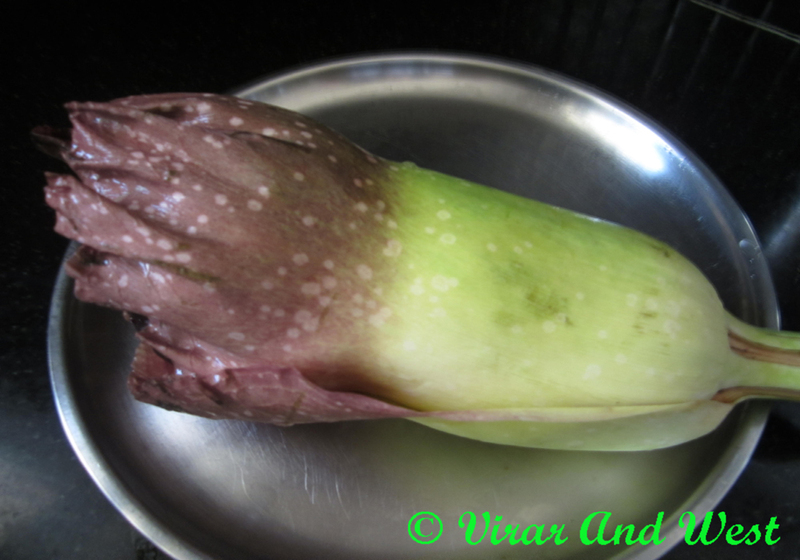 If the bud is flowered it stinks and is not used in cooking. Be prepared to taste a distinguished tasting edible flower, i.e, if you haven’t had Shevala of early monsoon season, another local favorite, which tastes very similar to this one. This is cooked in 2-3 styles with both vegetarian and non-vegetarian version. 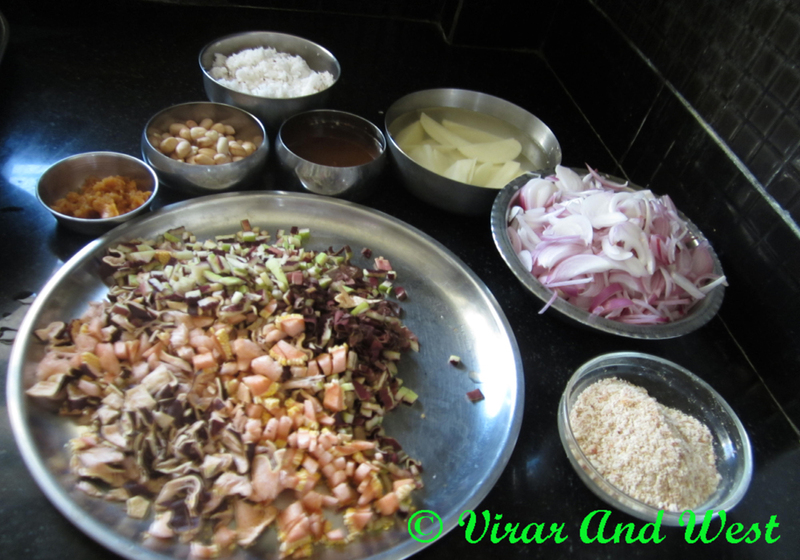 Following is a traditional recipe contributed by resident of Virar who chooses to stay Anonymous. We can’t thank enough for this contribution and have tried this recipe which tastes awesome. Wash the Suran Flower Bud. Cut and throw away down most part with pollen grains marked in the third picture. Being a flower of Suran, it shares its itchy characteristic and the part with pollens is the itchiest of the bud. Finely chop the rest of the flower. 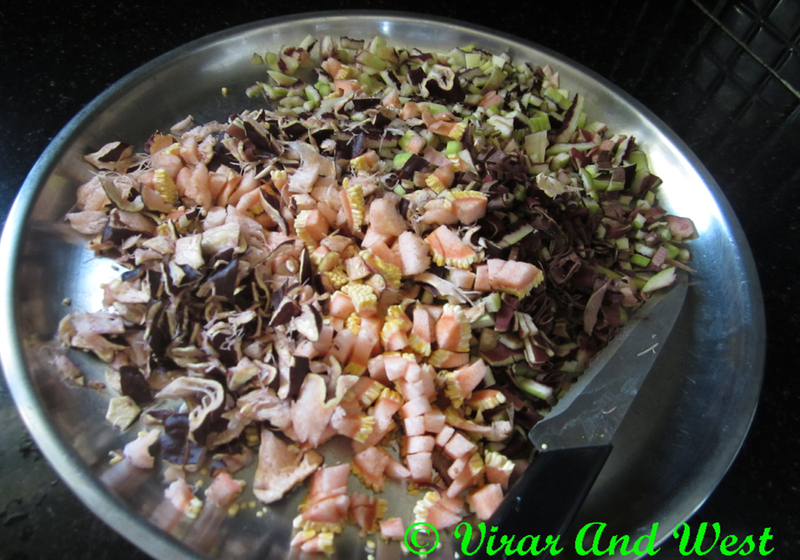 Heat oil in the pressure cooker, add pinch of Asafoetida and fry sliced onions till they turn pink. 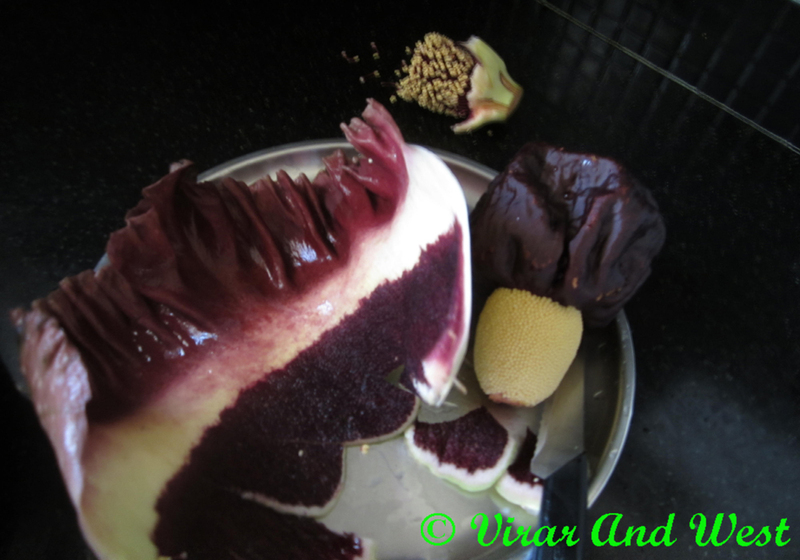 Add finely chopped Suran flower bud and fry for 15-20 minutes on low flame. This extensive frying is necessary to counter itchiness of the vegetable. 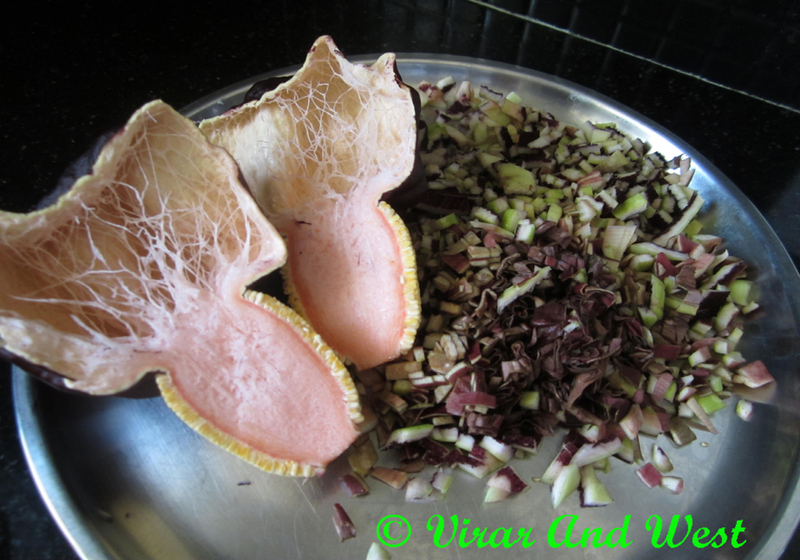 Now you start getting the aroma of vegetable, add red chilli powder, turmeric powder, goda masala or any other mix Masala. 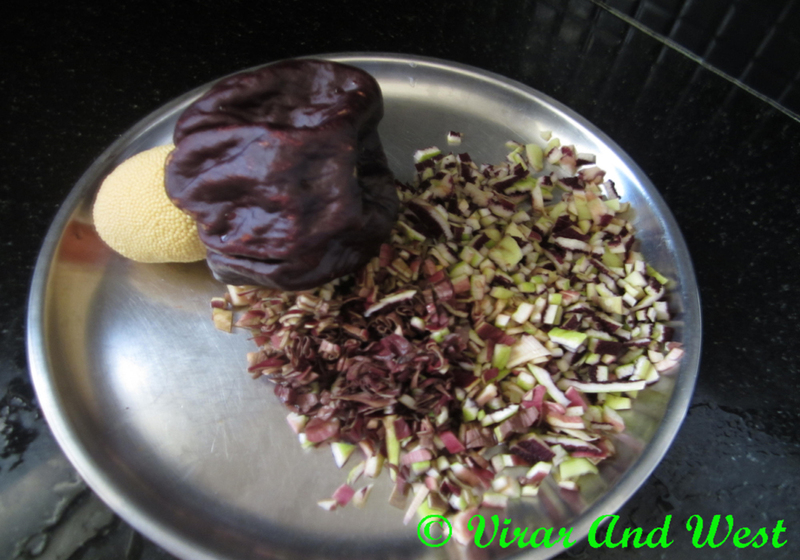 Add soaked peanuts, roasted and crushed peanuts, grated coconut, potatoes, tamarind extract and salt. Add water just enough as the consistency of this is thick and keeping it in mind that it doesn’t get burned. Cover the lid and place the cooker whistler. Turn off the gas after it whistles twice. Remove the lid after pressure cooker cools down. Add jaggery and mix well. Serve it with Chapati. Superb post. Love your blog. Thanks Vidya, I too hadn’t seen this before and am wondering why…Suran is available in all parts of India, so how come only Virar and Vasai (farthest is Dadar) locals identify or cook it, that too who have been living here for generations….